Add a string input called "emotion." 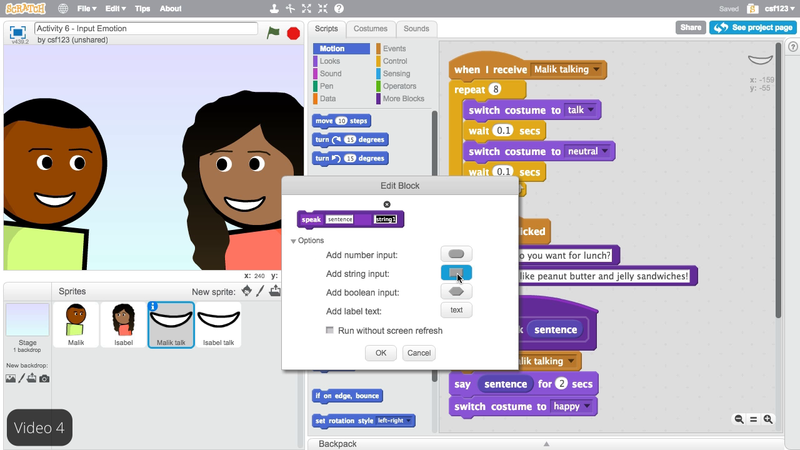 Update the "speak" blocks to input an emotion. Copy the three block stacks from "Malik Talk" to "Isabel Talk. Change the values in the broadcast for "Isabel Talk."